You've fallen down the rabbit hole. But where are you now going? In this place, reality meets fantasy. And nothing is quite as it seems. A childhood passion for drawing and painting. Technical precision applied towards innovative design. Reusable materials, second-hand fabric, no-waste patterns, and other sustainable practices. Illustration takes living form as wearable art. Photo by Colin Douglas Grey. To the surprise of my parents, my first language as an infant was to communicate with a pencil on paper. The world has always made the most sense to me through visual expression. While I find myself drawing much less today than I used to, I still rely on sketches and illustrations to convey my ideas to others. 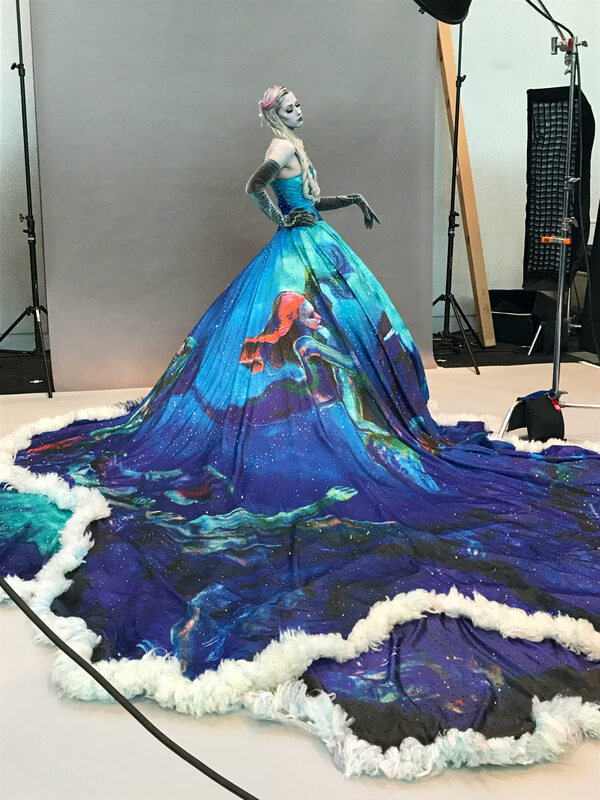 Once transferred the fabric, the images take on a new life of their own in the form of a garment. With countless steps between the concept and its realization, it's a surreal moment for me as an artist to experience my own work in motion.